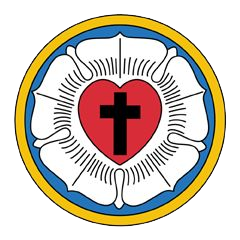 In 1952, The Lutheran Church—Missouri Synod and the Lutheran Laymen’s League ventured into television with a dramatic series entitled This Is the Life. The program examined contemporary moral problems and gave Christian solutions. In the early years, This Is the Life was a drama series featuring the Fisher Family. In the later years, it featured a different set of characters each week. Several famous actors made guest appearances on This Is the Life during this period, including Jack Nicholson, Angie Dickinson, Buddy Ebsen, and Leonard Nimoy. The program aired from 1952 until 1988, first in syndication and then on NBC. This is the Life Classics is a series of nine episodes selected from among dozens produced during the 50s, 60s, 70s, and 80s. Viewers will find the subjects and story lines aren't the stuff of sitcoms or even family-oriented shows that always went for the happy ending. Here are stories of faith-healing gone awry; a married couple's loss of their daughter; a pastor whose legalism was driving his members away; the bitter animosity of a father against his daughter's suitor; and more. In the end, each episode has one thing in common: God reigns through every event in our lives, and it is by faith in His Son-following and honoring Him-that our lives find their fullest meaning. Each episode is 25 minutes long. After watching each, there will be studying of relevant Bible verses and discussion. This series will be led by Lynn Burton in Nain, Room 118. This class begins on January 8, 2017.